When I told my friends I was going to be crazy enough to get married (I'm just kidding, Eli), Miguel, who's been living in Glasgow (Scotland) since September, told me to do the 'Edinburgh Half Marathon' together. Nevertheless, after a while he changed his mind and proposed me to do the challenge that names this post, if we want to translate the name into a few words we could say something like 'having mud up to every single cavity in your body being mental and paying for it'. 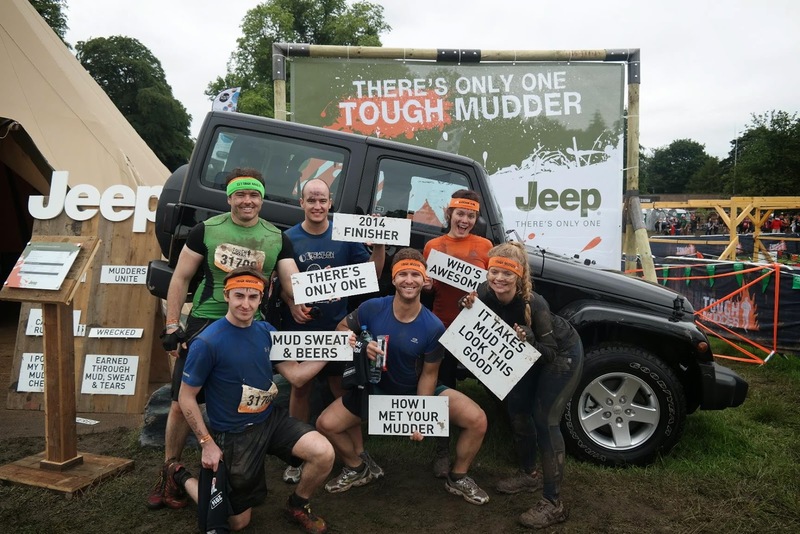 For those who don't know what it is, it's basically a race of about 12 miles, with obstacles or 'challenges' in between every mile (although it wasn't exactly every mile and the distances differed a lot). During the race I kept telling him that the 'stag party prank' couldn't have been more accurate. Miguel and me teamed-up with his trampoline team mates. It is not what we would call a race itself, meaning that the time is not that important, but it is more about overpassing or trying to overpass as many obstacles as possible. 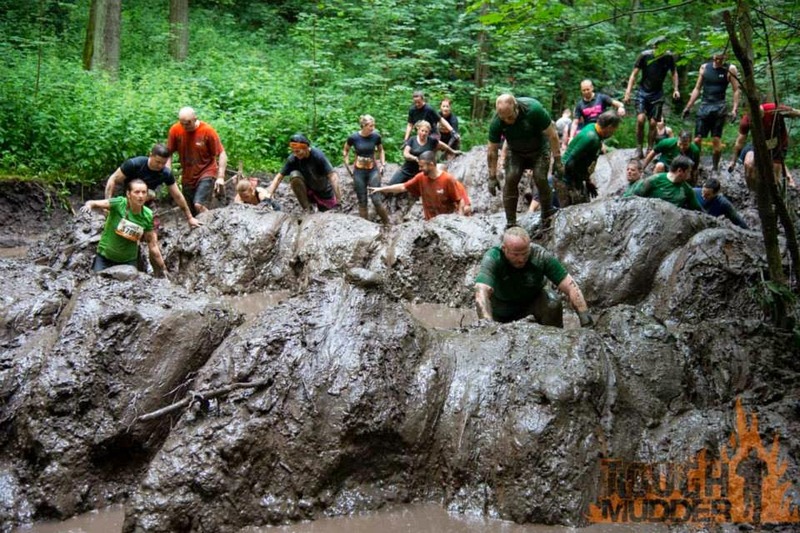 'Kiss of mud': Crawl like you would in the army under barbed wires, that stop you from rising your body. Done! 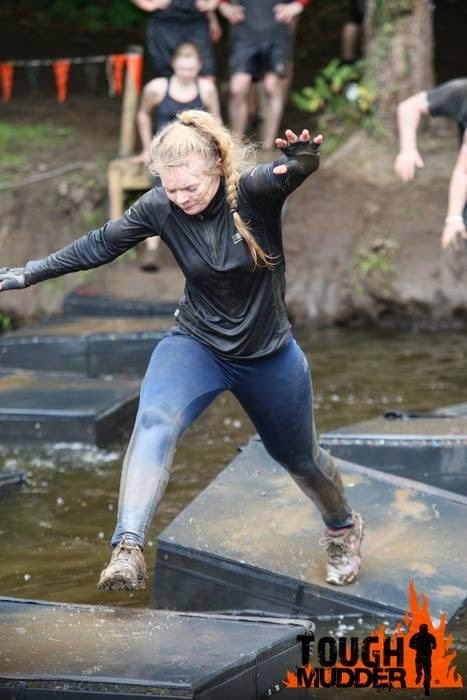 'Glory blades': 8 feet walls inclined towards the mudder. Done! 'Just the tip': It was about crossing a vertical wall where you only had a wee space to place your fingers. If you were to fall, water and mud was waiting for you. There was also some parts where you could put the feet to help yourself. Done! 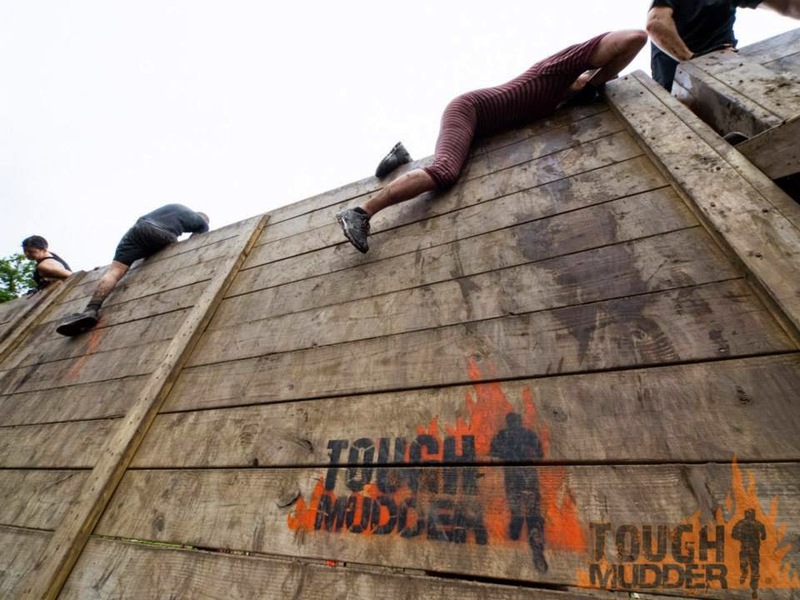 'Balls to the walls': Climb a 12 feet wall with the help of a rope cover in mud, and going back down on the other side. Done! 'Walk the Plank': Jump from a 13 feet high platform. There were a few meters of swimming afterwards. Done! 'Mud Mile': The mud mile started with a part where on every step your feet sank up to the knees. Lots of people lost there shoes pulling them out of the mud (I was one of them and I had to bury my arm up to my elbow to get it back). After that there was a part less extreme but very hard to run in. There were parts where you had to go up and down slopes followed by muddy water. Done! 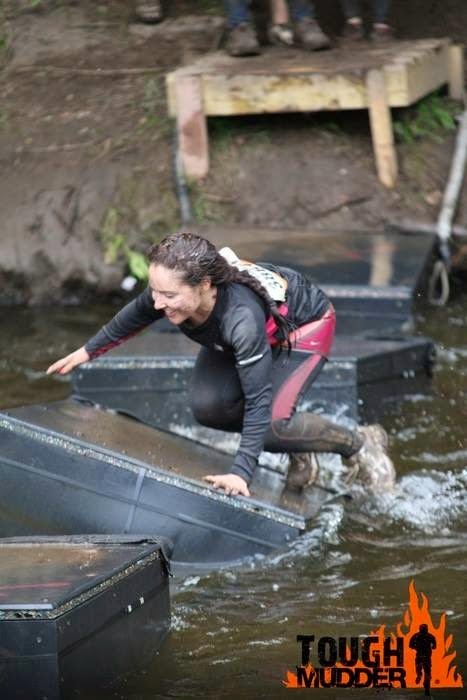 'Electric eel': Crawl, the same way we did in 'kiss the mud' trying not to touch the electrified wires hanging very close to your back. I had a shock but it wasn't that bad. Done! 'Cage Crawl': 20 meters of a cage with just a few inches to breath over your head and the rest of the body under the water. Ease obstacle unless you are afraid of small spaces. Done! 'Berlin Walls': 12 feet high walls where there was nothing to hang onto. Most of the participants required help from the others, teamwork here is necessary. Done! 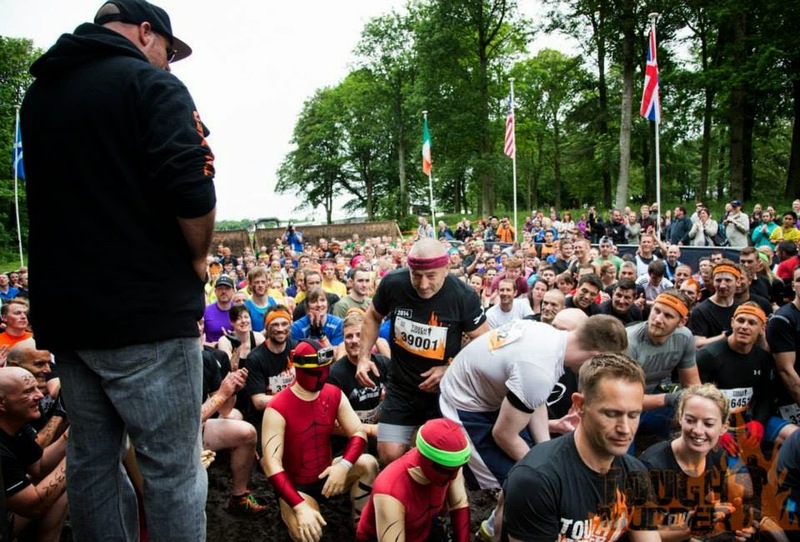 'Carry a hero': A mile where you had to carry on your back/shoulders one of your team mates, with a swap half way through. Mi partner, as you can guess, was Miguel (who was very happy that I lost weight in the last few months). Done! 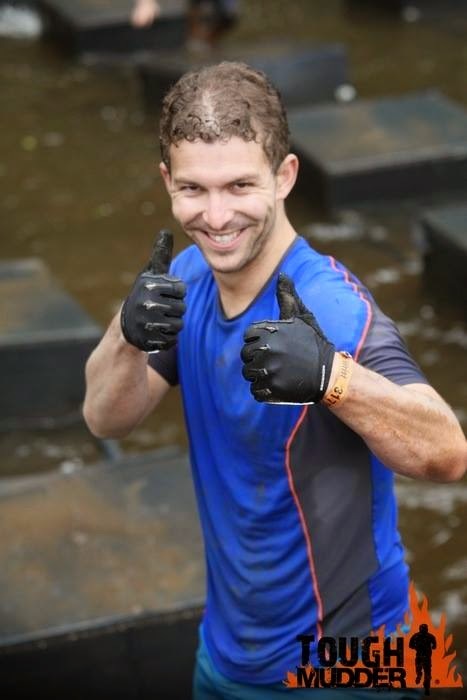 'Boa constrictor': Tubes where crawling was very hard and there was mud and water all the way through them. Done! 'Everest': One of the most challenging obstacles. You sprint right before you start the slope that inclines to finish almost vertical, and you hope for someone to be up there and help you reach up. It's impossible to make it without any help unless you can do a pull up without any place to help you and after almost 4 hours competing. After reaching up Miguel and me stayed up there for a while being that helping hand for others. Done! 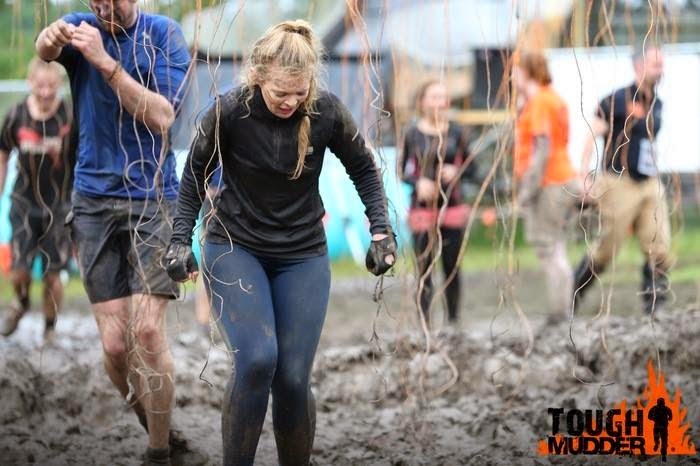 'Electroshock therapy': The last obstacle before the finish line, the one that I feared the most and probably the easiest one. 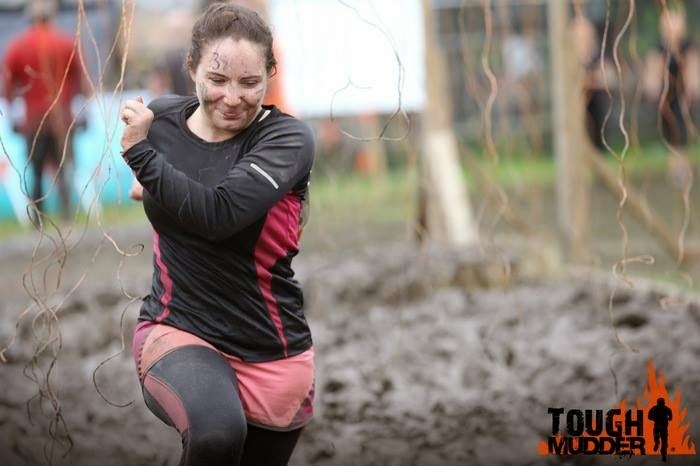 Small distance you have to cross running/walking over the mud (what a surprise), with hanging electrified wires around the knees length. None of them touched me. Done! Finish line! 'I did it!'. When we cross they gave us the headband, a ginger cyder and something to eat. After that the photo to remember it forever. As something curious, the shoes that I brought were already quite broken before even starting and I left them there after I saw how much mud there was in them. There were hundreds of them abandon in the car park, it wasn't just me who thought the same thing. 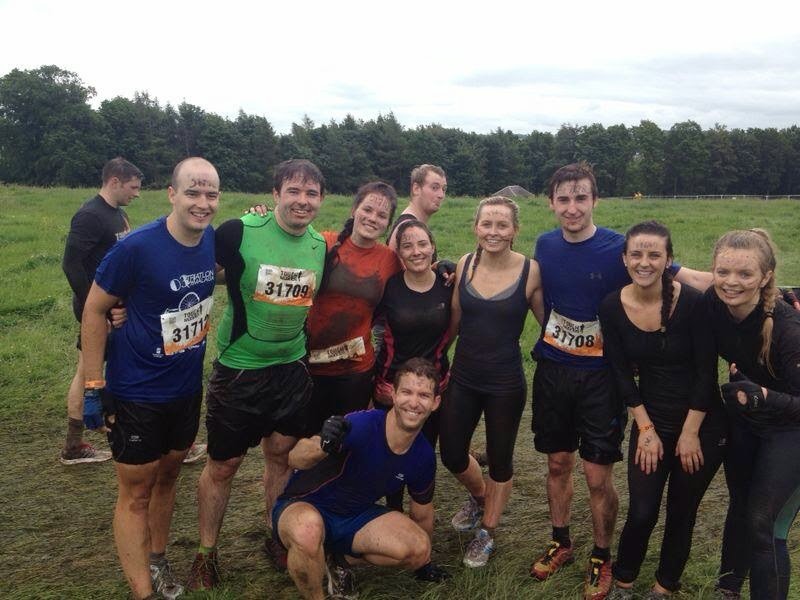 Very funny race, I'm so glad I did it, and also something completely different of what I usually do. Great experience. Publicado por José David en 1:31:00 p. m.
Os lo habéis tenido que pasar de miedo. Nunca he participado en una carrera de estas (parecen que están mas de moda fuera de España, aquí hay pocas) , pero a juzgar por las fotos, tiene que ser muy muy divertido.